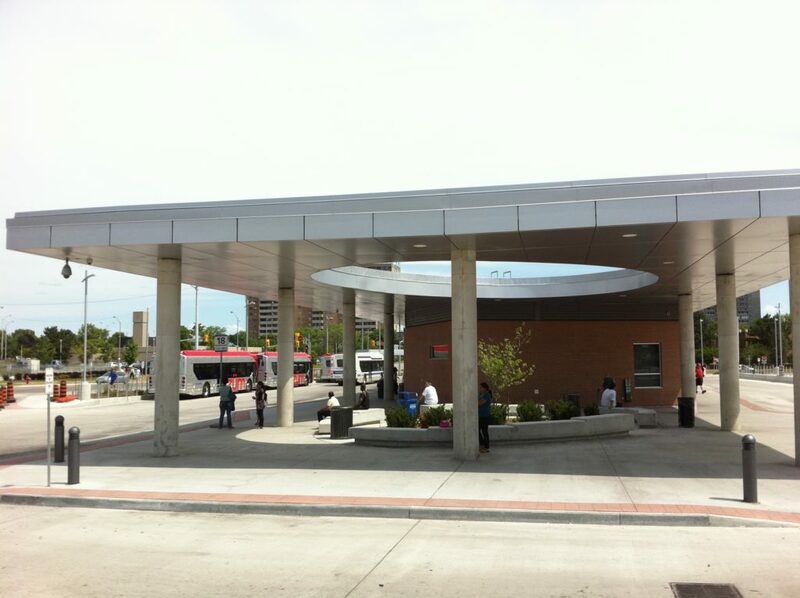 TROW/Moffet & Duncan Architects Inc. 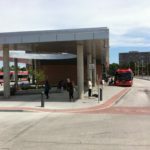 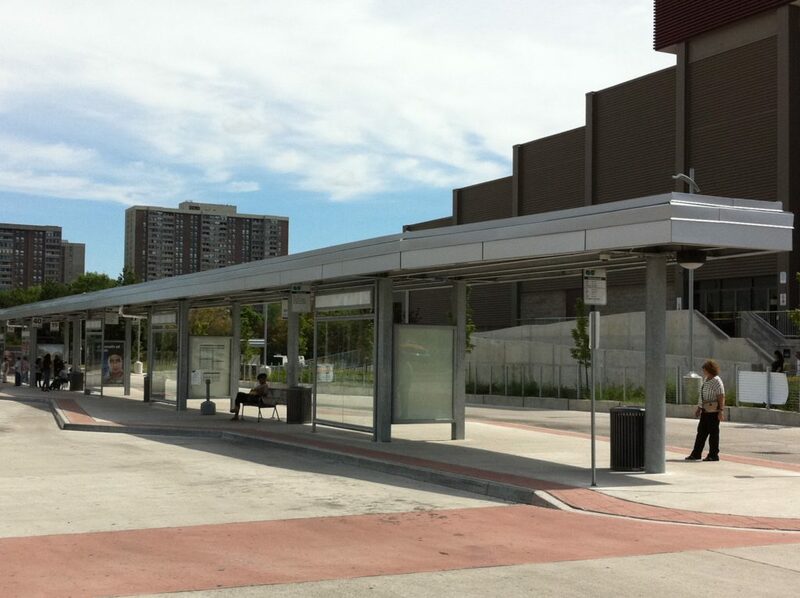 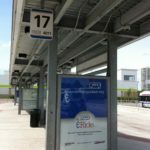 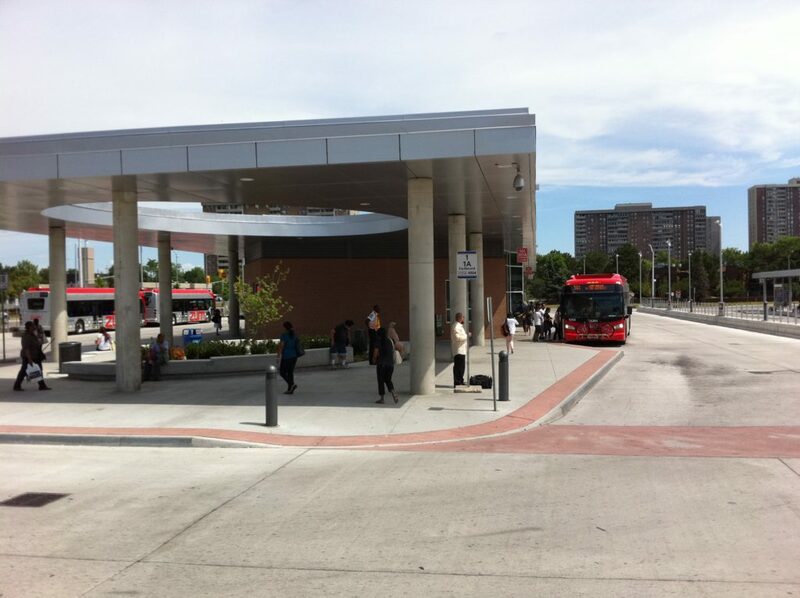 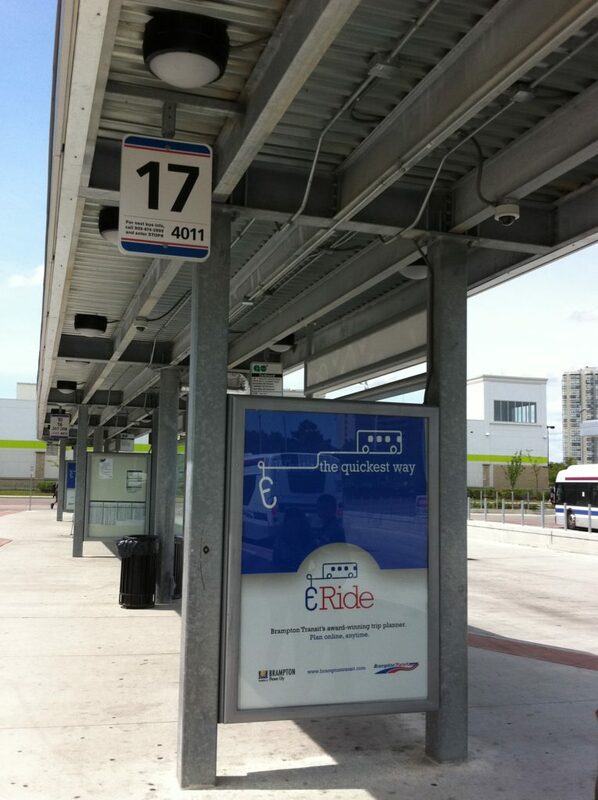 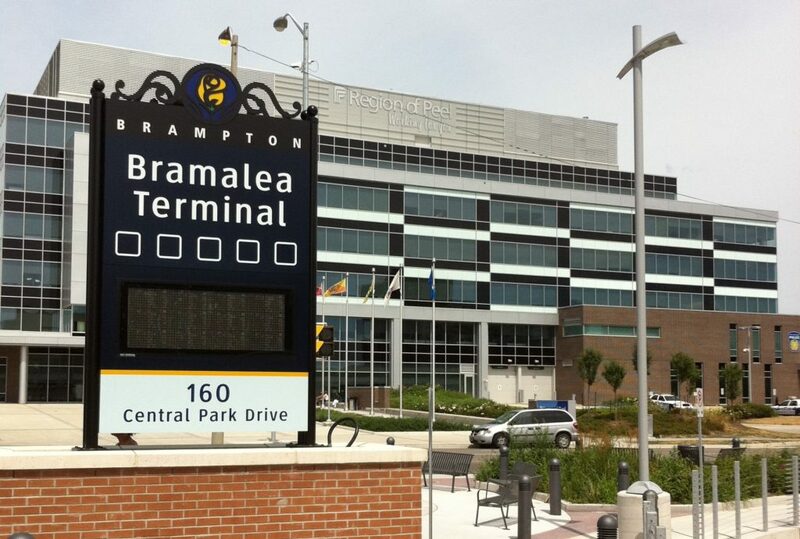 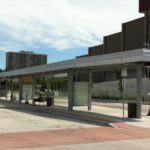 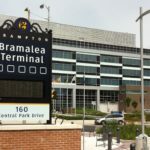 Located at 160 Central Park Drive, the new Bramalea City Centre Bus Terminal is a single storey terminal building comprising of two platforms, entrance canopy, underground services, civil work, mechanical works, electrical works, concrete paving, interior and exterior lighting for the terminal, street lighting, traffic signals, waste storage area, bike racks, interior site and exterior road modifications for bus operations and fire route, landscaping, architectural details, building structures, structures for accessibility into Brampton Civic Centre, and modifications to the east parking lot of the Brampton Civic Centre. 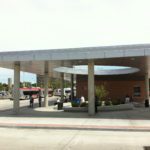 Work on this contract also included Owner and operational support infrastructure, including information technology, security systems (CCTV and access control), telephone service and cable service.